Firstly, it might be useful to view this preface as a barometer of the debate globally, and of Transform and other reform NGOs having a real impact on the international debate at the highest levels, including the UNODC. It is a reflection of the progress the reform movement has made that the legalization/regulation issue takes up so much of the space in the preface, and that the UNODC feels the need to go on the defensive this prominently. Secondly, we would suggest that it is indicative of an institutional problem at UNODC, that something as internally inconsistent as this passes muster and is allowed into the public domain. They fully acknowledge that prohibition, under the auspices of the UN drug agencies and international drug control infrastructure, has been a generational disaster on multiple fronts - and yet then call for more of the same, brushing off those who call for a debate on alternatives with the offensive and childish smear of being 'pro-drugs'. Costa has a seemingly unique politician's ability to be simultaneously insightful and manifestly wrong, demonstrating a similar trick with those who challenge him by being both conciliatory and offensive. So if the only answer to drug misuse is to deal with the social problems that underlie it - where does that leave all that punitive enforcement? At the same time, UNODC has highlighted some negative, obviously unintended effects of drug control, foreshadowing a needed debate about the ways and means to deal with them. Of late, there has been a limited but growing chorus among politicians, the press, and even in public opinion saying: drug control is not working. The broadcasting volume is still rising and the message spreading. Much of this public debate is characterized by sweeping generalizations and simplistic solutions. Yet, the very heart of the discussion underlines the need to evaluate the effectiveness of the current approach. Having studied the issue on the basis of our data, UNODC has concluded that, while changes are needed, they should be in favour of different means to protect society against drugs, rather than by pursuing the different goal of abandoning such protection. A. What’s the repeal debate about? Several arguments have been put forward in favour of repealing drug controls, based on (i) economic, (ii) health, and (iii) security grounds, and a combination thereof. I. The economic argument for drug legalization says: legalize drugs, and generate tax income. This argument is gaining favour, as national administrations seek new sources of revenue during the current economic crisis. This legalize and tax argument is un-ethical and uneconomical. It proposes a perverse tax, generation upon generation, on marginalized cohorts (lost to addiction) to stimulate economic recovery. Are the partisans of this cause also in favour of legalizing and taxing other seemingly intractable crimes like human trafficking? Modern-day slaves (and there are millions of them) would surely generate good tax revenue to rescue failed banks. The economic argument is also based on poor fiscal logic: any reduction in the cost of drug control (due to lower law enforcement expenditure) will be offset by much higher expenditure on public health (due to the surge of drug consumption). The moral of the story: don’t make wicked transactions legal just because they are hard to control. II. Others have argued that, following legalization, a health threat (in the form of a drug epidemic) could be avoided by state regulation of the drug market. Again, this is naive and myopic. First, the tighter the controls (on anything), the bigger and the faster a parallel (criminal) market will emerge – thus invalidating the concept. Second, only a few (rich) countries could afford such elaborate controls. What about the rest (the majority) of humanity? Why unleash a drug epidemic in the developing world for the sake of libertarian arguments made by a pro-drug lobby that has the luxury of access to drug treatment? Drugs are not harmful because they are controlled – they are controlled because they are harmful; and they do harm whether the addict is rich and beautiful, or poor and marginalized. Drug statistics keep speaking loud and clear. Past runaway growth has flattened out and the drug crisis of the 1990s seems under control. This 2009 Report provides further evidence that drug cultivation (opium and coca) are flat or down. Most importantly, major markets for opiates (Europe and South East Asia), cocaine (North America), and cannabis (North America, Oceania and Europe) are in decline. The increase in consumption of synthetic stimulants, particularly in East Asia and the Middle East, is cause for concern, although use is declining in developed countries. III. The most serious issue concerns organized crime. All market activity controlled by the authority generates parallel, illegal transactions, as stated above. Inevitably, drug controls have generated a criminal market of macro- economic dimensions that uses violence and corruption to mediate between demand and supply. Legalize drugs, and organized crime will lose its most profitable line of activity, critics therefore say. Not so fast. UNODC is well aware of the threats posed by international drug mafias. Our estimates of the value of the drug market (in 2005) were ground-breaking. The Office was also first to ring the alarm bell on the threat of drug trafficking to countries in West and East Africa, the Caribbean, Central America and the Balkans. In doing so we have highlighted the security menace posed by organized crime, a matter now periodically addressed by the UN Security Council. Having started this drugs/crime debate, and having pondered it extensively, we have concluded that these drug-related, organized crime arguments are valid. They must be addressed. I urge governments to recalibrate the policy mix, without delay, in the direction of more controls on crime, without fewer controls on drugs. In other words, while the crime argument is right, the conclusions reached by its proponents are flawed. Why? Because we are not counting beans here: we are counting lives. Economic policy is the art of counting beans (money) and handling trade-offs: inflation vs. employment, consumption vs. savings, internal vs. external balances. Lives are different. If we start trading them off, we end up violating somebody’s human rights. There cannot be exchanges, no quid-pro-quos, when health and security are at stake: modern society must, and can, protect both these assets with unmitigated determination. I appeal to the heroic partisans of the human rights cause worldwide, to help UNODC promote the right to health of drug addicts: they must be assisted and reintegrated into society. Addiction is a health condition and those affected by it should not be imprisoned, shot-at or, as suggested by the proponent of this argument, traded off in order to reduce the security threat posed by international mafias. Of course, the latter must be addressed, and below is our advice. The crime/drugs nexus was the subject of a Report entitled Organized Crime and its Threat to Security: tackling a disturbing consequence of drug control1 that I presented to the Commission on Narcotic Drugs and the Crime Commission in 2009. Because of the importance of this subject, we have devoted the thematic chapter of this year’s Report to examining further the issue and its policy implications. Here are some of the main points. First, law enforcement should shift its focus from drug users to drug traffickers. Drug addiction is a health condition: people who take drugs need medical help, not criminal retribution. Attention must be devoted to heavy drug users. They consume the most drugs, cause the greatest harm to themselves and society – and generate the most income to drug mafias. Drug courts and medical assistance are more likely to build healthier and safer societies than incarceration. I appeal to Member States to pursue the goal of universal access to drug treatment as a commitment to save lives and reduce drug demand: the fall of supply, and associated crime revenues, will follow. Let’s progress towards this goal in the years ahead, and then assess its beneficial impact on the next occasion Member States will meet to review the effectiveness of drug policy (2015). Second, we must put an end to the tragedy of cities out of control. Drug deals, like other crimes, take place mostly in urban settings controlled by criminal groups. This problem will worsen in the mega-cities of the future, if governance does not keep pace with urbanization. Yet, arresting individuals and seizing drugs for their personal use is like pulling weeds – it needs to be done again the next day. The problem can only be solved by addressing the problem of slums and dereliction in our cities, through renewal of infrastructures and investment in people – especially by assisting the youth, who are vulnerable to drugs and crime, with education, jobs and sport. Ghettos do not create junkies and the jobless: it is often the other way around. And in the process mafias thrive. Third, and this is the most important point, governments must make use, individually and collectively, of the international agreements against uncivil society. This means to ratify and apply the UN Conventions against Organized Crime (TOC) and against Corruption (CAC), and related protocols against the trafficking of people, arms and migrants. So far, the international community has not taken these international obligations seriously. While slum dwellers suffer, Africa is under attack, drug cartels threaten Latin America, and mafias penetrate bankrupt financial institutions, junior negotiators at these Conventions’ Conferences of the Parties have been arguing about bureaucratic processes and arcane notions of inclusiveness, ownership, comprehensiveness, and non-ranking. There are large gaps in the implementation of the Palermo and the Merida Conventions, years after their entry into force, to the point that a number of countries now face a crime situation largely caused by their own choice. This is bad enough. Worse is the fact that, quite often vulnerable neighbors pay an even greater price. There is much more our countries can do to face the brutal force of organized crime: the context within which mafias operate must also be addressed. •• Money-laundering is rampant and practically unopposed, at a time when interbank-lending has dried up. The recommendations devised to prevent the use of financial institutions to launder criminal money, today are honored mostly in the breach. At a time of major bank failures, money doesn’t smell, bankers seem to believe. Honest citizens, struggling in a time of economic hardship, wonder why the proceeds of crime – turned into ostentatious real estate, cars, boats and planes – are not seized. •• Another context deserving attention concerns one of humanity’s biggest assets, the internet. It has changed our life, especially the way we conduct business, communication, research and entertainment. But the web has also been turned into a weapon of mass destruction by criminals (and terrorists). Surprisingly, and despite the current crime wave, calls for new international arrangements against money-laundering and cyber-crime remain un-answered. In the process, drug policy gets the blame and is subverted. To conclude, transnational organized crime will never be stopped by drug legalization. Mafias coffers are equally nourished by the trafficking of arms, people and their organs, by counterfeiting and smuggling, racketeering and loan-sharking, kidnapping and piracy, and by violence against the environment (illegal logging, dumping of toxic waste, etc). The drug/crime trade-off argument, debated above, is no other than the pursuit of the old drug legalization agenda, persistently advocated by the pro-drug-lobby (Note that the partisans of this argument would not extend it to guns whose control – they say – should actually be enforced and extended: namely, no to guns, yes to drugs). So far the drug legalization agenda has been opposed fiercely, and successfully, by the majority of our society. Yet, anti-crime policy must change. It is no longer sufficient to say: no to drugs. We have to state an equally vehement: no to crime. There is no alternative to improving both security and health. The termination of drug control would be an epic mistake. Equally catastrophic is the current disregard of the security threat posed by organized crime. have launched a letter writing campaign in response to the UNODC arguments. 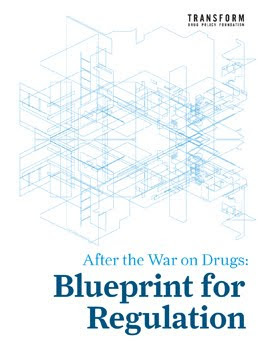 The World Drug Report 2009, the flagship annual publication of the United Nations Office on Drugs and Crime (UNODC), will be launched in Washington DC on 24 June. Launched in the run up to World Drug Day on 26th June, the report provides detailed descriptions of trends in world drug markets. The report is likely to repeat the fact that the drug control system creates huge unintended consequences. Transform, an NGO with special consultative status with the UN, argues that it is the regime of global prohibition that has created and compounded what is generally thought of as the ‘drug problem’, and that the UNODC is in agreement about the problem, if not the solution. Transform argues that the war on drugs must be ended to enable legally regulated drug markets to be established . “Global drug control efforts have had a dramatic unintended consequence: a criminal black market of staggering proportions. Organized crime is a threat to security. Criminal organizations have the power to destabilize society and Governments. The illicit drug business is worth billions of dollars a year, part of which is used to corrupt government officials and to poison economies. 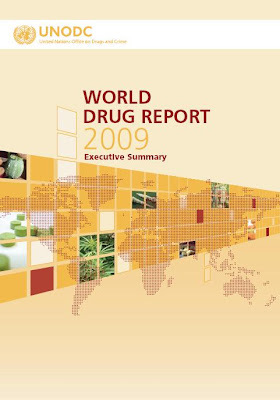 The World Drug Report has long been criticised as attempting to dress up the long-term systemic failure of the international drug control system as success, and for ignoring some of the system’s most catastrophic failings. Despite the ongoing attempts to put a positive spin on the data there is no hiding from the reality that the era of global drug prohibition, enshrined in the three UN drug conventions (1961, 1971 and 1988), has witnessed a consistent escalation in harms associated with illicit drug production, supply and use. 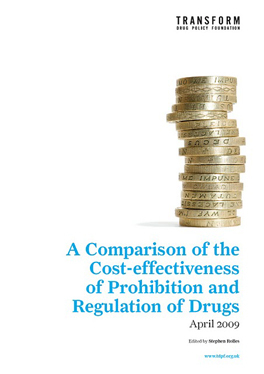 Not only has the international drug control infrastructure – by its own measures – consistently delivered the opposite of its stated aims (the creation of ‘a drug free world’ being further away than ever) but, as Antonio Costa (UNODC executive director) has repeatedly stated, it has created a series of disastrous ‘unintended consequences’. Costa describes how the drug control system that his office oversees has created the ‘huge criminal black market’ that turns over in excess of £160 billion a year that has devastated producer and transit countries, has displaced policy ‘from public health to enforcement’ and caused the ‘balloon effect’ in which the problem is not eliminated but merely moved from one region to another. As the International Day Against Drug Abuse and Illicit Trafficking approaches on 26 June, the Anti Death Penalty Asia Network (ADPAN), of which Amnesty International is a member, Human Rights Watch (HRW) and the International Harm Reduction Association (IHRA) call upon governments in Asia to cease applying the death penalty for drug-related offences. There is a clear, longstanding and worldwide move toward restriction or abolition of the death penalty. Only a small minority of countries continue to implement the death penalty: in 2008, 25 countries carried out executions. ADPAN, Human Rights Watch and the International Harm Reduction Association oppose the death penalty in all cases as a violation of fundamental rights- the right to life and the right not to be subjected to cruel, inhuman and degrading punishment. Sixteen countries in Asia apply the death penalty for drug-related offences. As many countries in the region do not make information on the death penalty available, it is impossible to calculate exactly how many drug-related death sentences are imposed. However, in Indonesia, Malaysia, Singapore and Thailand, reports indicate that a high proportion of death sentences are imposed upon those convicted of drug offences. ADPAN, HRW, and IHRA express particular concern that China, Indonesia, and Vietnam continue to execute individuals for drug offences – and that some countries, such as China since the early 1990s, and Indonesia in 2008, have marked the occasion of June 26 with such executions. Despite the executions in Asia there is no clear evidence of a decline in drug-trafficking that could be attributed to the threat or use of the death penalty. There is no credible evidence that the death penalty deters serious crime in general more effectively than other punishments. The most recent survey of research findings on the relation between the death penalty and homicide rates, conducted for the United Nations (UN) in 1988 and updated in 1996 and 2002, concluded: "...research has failed to provide scientific proof that executions have a greater deterrent effect than life imprisonment. Such proof is unlikely to be forthcoming. The evidence as a whole gives no positive support to the deterrent hypothesis." UN human rights mechanisms – including the UN Special Rapporteur on extrajudicial, summary, or arbitrary executions, and the UN Human Rights Committee -- have concluded that the death penalty for drug offences fails to meet the condition of “most serious crime”, under which the death penalty is allowed only as an “exceptional measure” where “there was an intention to kill which resulted in the loss of life” (UN Doc, A/HRC/4/20, 29 January 2007, para 53). The UN High Commissioner for Human Rights and the director of the UN Office on Drugs and Crime have likewise expressed grave concerns about the application of the death penalty for drug offences. Death sentences are often handed down after unfair legal processes, a problem made worse by laws, policies or practices regulating drug offences in some Asian countries. Mandatory death sentences are applied for certain drug offences in Brunei, India, Laos, Singapore and Malaysia, leaving a judge with no discretion over the sentence for defendants found guilty. Mandatory death sentences violate international standards on fair trials. Individualised sentencing is required to prevent cruel, inhuman or degrading punishment and the arbitrary deprivation of life. Singapore, which has one of the highest per capita execution rates in the world, as well as Malaysia, continue to hand down death sentences to individuals alleged to be drug traffickers after trials that presume guilt, and in which death sentences are mandatory. Confessions that have been coerced sometimes form the basis of guilty verdicts, death sentences and executions. Competent legal assistance is unavailable to many defendants, including defendants facing drugs-related charges, leaving many with little capacity to mount a defence at any stage of the proceedings. Draconian penalties for drug offences, including the death penalty, hinder public health programmes that reduce the harm drugs may cause to individual drug users, their loved ones, communities and states. China, Malaysia and Viet Nam have recently stepped up their harm reduction programmes to reduce HIV, hepatitis C and other drug-related health and social harms. However, excessive punishments and overly repressive drug law enforcement have been shown time and again to drive target groups away from such services. The death penalty therefore not only violates the right to life of those condemned, but is actually counterproductive to efforts to reduce the harm caused by drugs. Use the occasion of Anti-Drugs Day 2009 to highlight public health policies that have proven effective in reducing drug-related harms. You can now read Transform's written evidence to the Home Affairs Select Committee's new Cocaine Trade Inquiry which we blogged about in May. Last week, the Chair of the Committee, Keith Vaz MP, invited Transform to give oral evidence to the inquiry during a debate on drugs legalisation with our Head of Research, Steve Rolles, on Radio One Extra. You can listen to the debate for the next few days here. Our evidence shows how many of the issues and problems the Committee is grappling with in their inquiry stem from the criminalisation of drugs, rather than drug use per se. We also explain that there is a collective denial within Government and beyond that protects the policy of prohibition from scrutiny, the starting point of which is an ongoing refusal to separate drug harms from harms caused by drug policy, and prohibition in particular. The largest ever study of cocaine use around the globe was carried out in the early 90's by the UN World Health Organisation (WHO) and funded by the UN Inter-regional Crime and Justice Research Institute (UNICRI), but under pressure from the US its publication was suppressed when it became clear the report's findings were in direct conflict with the myths, stereotypes and propaganda that prop up the war on drugs (read the complete leaked report here). In March 1995 WHO/UNICRI released a briefing kit summarising the key conclusions, as a curtain raiser to the report's imminent publication. "Health problem; from the use of legal substances, particularly alcohol and tobacco, are greater than health problems from cocaine use. "... it [the US] took the view that the study on cocaine, evidence of WHO's support for harm-reduction programmes and previous WHO association with organizations that supported the legalization of drugs, indicated that its programme on substance abuse was heading in the wrong direction. 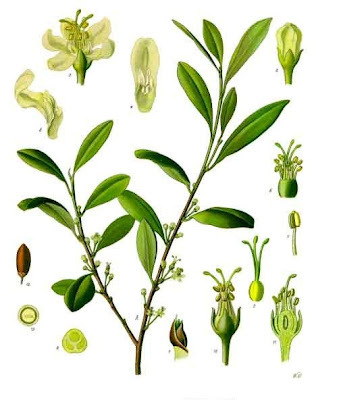 The press package undermined the efforts of the international community to stamp out the illegal cultivation and production of coca, inter alia through international conventions. "occasional cocaine use does not typically lead to severe or even minor physical or social problems ... a minority of people start using cocaine or related products, use casually for a short or long period, and suffer little or no negative consequences, even after years of use. ... Use of coca leaves appears to have no negative health effects and has positive, therapeutic, sacred and social functions for indigenous Andean populations." In addressing the rise in use, the report posits that key drivers are the drug's illicit status combined with both rising wealth (for cocaine powder) and increased poverty (for crack cocaine). The report was never officially published and according to the WHO it does not exist, however some of the project advisors are now pushing for it to be formally published. It has only emerged into the public domain because the relevant documents were leaked and found their way into the hands of the Transnational Institute drugs and democracy programme. The suppression of this detailed, authoritative and independent report is yet more evidence of how certain governments, most conspicuously the US, have willfully refused to develop rational drug policy based on science and evidence - and worse, when evidence emerges that challenges their political prerogatives and drug war ideologies they will resort to bullying, threats and censorship to ensure it is suppressed. This is anti-science drug war posturing of the worst kind, and can only lead to poor policy development with increased social and personal costs the inevitable result. Transform has passed this report on to the forthcoming Home Affairs Select Committee inquiry on cocaine in the hope that it might usefully be used to inform policy discussions, albeit only at the UK level for now, and some 13 years late. Author, Transform blogger and Transform trustee Mike Jay has recently published a fascinating biography of Thomas Beddoes and his colleagues at the brilliantly named - Pneumatic Institute. Danny Kushlick says of the book: "'Atmosphere' is a gas. It comprehensively covers the politics and personal lives of those drawn into the 'factitious airs' of the Pneumatic Institute, in Bristol at the end of 1700s. Mike Jay clearly had Transform in mind as he was writing and the links between the principles and passions at the heart of the individuals behind the Institute resonate deeply. A Bristol-based outfit, at the cutting edge of science, attempting to fundamentally change the way that the professions view the problems of the marginalised and those with an urge to experiment with the effects of drugs on the mind...now where have I come across that before?" Copied below is the cover blurb and links to some of the books reviews. "At the Pneumatic Institution in Bristol, England, founded in the closing years of the eighteenth century, dramatic experiments with gases precipitated a revolution not only in scientific medicine but also in the modern mind. Propelled by the energy of maverick doctor Thomas Beddoes, the Institution was both laboratory and hospital—the first example of a medical research institution. But when its researchers discovered the mind-altering properties of nitrous oxide, or laughing gas, their experiments devolved into a pioneering exploration of consciousness, with far-reaching and unforeseen effects. In this fast-paced and dramatic narrative, Mike Jay tells the story of Dr. Beddoes and the brilliant circle who surrounded him: Erasmus Darwin and the Lunar Society, who supported his experiments; Samuel Taylor Coleridge and Robert Southey, who were inspired by his ideas; James Watt, who designed and built his laboratory; Thomas Wedgwood, the visionary heir to the pottery dynasty, who funded it; and Beddoes’ dazzling young chemistry assistant, Humphry Davy, who tested nitrous oxide to its limits with legendary results. The Atmosphere of Heaven is a riveting account of the chaotic rise and fall of the Institution, and reveals for the first time its crucial influence - on modern drug culture, attitudes toward objective and subjective knowledge, the development of anaesthetic surgery, and the birth of the Romantic movement." Our colleagues over at Release - long time reform campaigners and defenders of those who fall foul of the UK's unjust, outdated and often plain ridiculous drug laws - have launched a new campaign as part of their wider project to drag the drug policy debate out of the stagnant waters of politically driven drug-war posturing and into what rational pragmatists might call 'the real world'. Drugs and drug policy do not get properly discussed and politicians are afraid to take on a subject that governments have totally failed to bring under control. The current system has brought us powerful drugs like crack cocaine, skunk and methamphetamine; has ravaged countries from Afghanistan to Colombia and has cost billions in a war on people who use drugs. Governments have almost no control over drugs and they are arguably more available and cheaper than ever before. It is often far easier for a 15 year old to get cannabis than alcohol. Breaking the taboo on drugs is the first step to reducing the harm that they can cause. We must shift the perception that drug users are ‘bad’ and that all drug use is ‘evil’. Over one third of the adult population of England and Wales have used illegal drugs. By far the greatest risk to the majority of these people is criminalisation and stigmatisation. A focus on banning substances and arresting those who experiment with them has been at the expense of the absence of a robust and comprehensive public health campaign. Release believes there are more effective ways to manage drug use, ways that would make drugs much less dangerous and critically, less available to children. There are a range of available steps that can be taken – Portugal, Spain, Germany, and Mexico have all decriminalised personal possession.....it is time the UK considers an alternative and much safer approach. This campaign will highlight the completely out of touch approach taken to drugs by much of the UK’s media and political parties. It will challenge politicians who use their ineffective ‘tough on drugs’ stance for political expedience. It will start a debate about the kind of drug policy that this country wants to see. The UK does not want drug laws that benefit massive drug cartels and are convenient for politicians, but ones that deal sensibly and maturely with drugs and make our society a safer place for our children. United Nations officials in Afghanistan are attempting to create a "flood of drugs" in the country intended to destroy the value of opium and force poppy farmers to switch to legal crops such as wheat. After the failure to destroy fields of the scarlet flowers in Afghanistan's volatile south, the United Nations Office on Drugs and Crime says the answer is to stop the drugs from leaving the country in the first place. "Manual eradication is incompetent and inefficient," UNODC chief Antonio Maria Costa said during a visit to the western Afghan province of Herat. "So we want to see more efforts to stop the flow of drugs across Afghanistan's borders and the hitting of high-value targets to create a market disruption. "We want to create a flood of drugs within Afghanistan. There will be so much opium inside Afghanistan unable to go out that the price will go down." It looks like Costa has finally been mugged by reality. When the Taliban allowed anyone to grow poppies in the late 1990s, the price of a kilo of opium fell to $30 on the streets of Kandahar because of the resulting glut. When Mullah Omar decreed it was no longer consistent with Islamic values to grow poppies in 2000, the prohibitionist price of opium shot up to $740/kilo just before the Sept. 11 attacks. For the first time that I can recall, a prominent drug warrior has allowed the inconvenient truth of prohibition economics to intrude on his crusade. Alas, Costa still clings to the idea that opium can still be stopped from leaking across the borders of Afghanistan. Still, the idea of allowing the natural devaluing of illicit crops by stopping eradication is more than a baby step -- it's a sea change in drug war thinking and it stops the counterproductive and inhuman "war" against peasant farmers. Now that he has admitted the futility of shoveling water, we can only hope he will abandon the idea of building a metaphorical wall around the country. to Pakistan. It's also one of the most corrupt countries in the world so a little cash can facilitate a lot of smuggling. While the addiction rates in Afghanistan are still relatively low and rising, the neighboring countries have a huge addiction and HIV problem as a result of cheap Afghan heroin. The situation is dire and demands real solutions. this, it's hard to go back and pretend they can still make illicit crops disappear by making them astronomically more valuable in a world where HALF of the human race "subsists" on less than $2/day. 2) It's hard to eradicate in a region where illicit crops have taken root and the trade networks have been established. It's a lot easier to prevent a region from converting to illicit crops in the first place. If farmers transition back to legal crops, those networks could recede and then they might have a chance of preventing their return if there is sufficient aid for infrastructure and credit. 3) Adam Smith's "invisible hand" will be the culprit that motivates farmers to switch crops on their own. It doesn't make NATO forces and the UN into the hated "bad guys" who eradicated the fields of peasant farmers and drove them into the arms of the Taliban. The Taliban's fatal mistake in 2000 was in imposing total prohibition of poppy cultivation. While it made some Taliban commanders fabulously wealthy because they had cornered the market on warehoused opium at pre-prohibition prices, it turned farmers against them because they starved and suffered as a result so they were happy to help NATO forces. 4) When the opium prices fall, the Taliban will have a harder time funding their war and fewer lives should be lost. This could hasten the withdrawal of combat troops and the decreased violence should allow for more effective development assistance -- assuming Congress doesn't repeat the mistakes of the last Afghan war against the Soviets. To recall, we wiped our asses and left as soon as the Soviets retreated thus leaving a perfect vacuum for civil war and eventual Taliban victory. 5) They can now stop punishing the weakest of the weak and the poorest of the poor. Forced eradication without providing viable alternative livelihoods is not only counterproductive, but it is also monstrously cruel.